Rebecca is an anthropological archaeologist with seventeen years of field experience investigating ancient complex societies in the Andes and beyond. 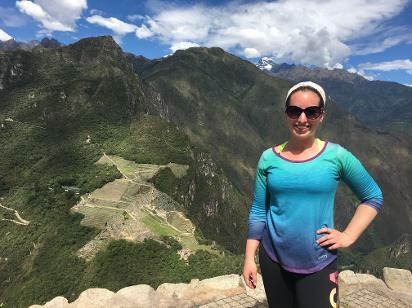 Although highland Peru is her principal area of study and intellectual passion, she has participated in archaeological research in five additional countries: Argentina, Bolivia, Belize, Italy, the United Arab Emirates, and the United States. Rebecca started PIARA in 2oo9 with the vision of bringing a robust archaeological research program together with a community-oriented heritage project. She works closely with communities like Hualcayán to address issues of poverty and the preservation of heritage. Her research is focused on anthropological questions of long-term community formation and local politics, and her work has documented how diverse kinds of collective labor, agricultural technologies, and ritual practices intersected to assemble and transform the Hualcayán community throughout its 4000-year prehistoric occupation. Rebecca applies a variety of digital techniques to the investigation and teaching of archaeology, such as by designing custom mobile relational databases for the field and laboratory, creating photogrammetry models for visualization, and analyzing spatial data with GIS. Rebecca received her doctorate in the Department of Anthropology at Vanderbilt University in 2017 and is currently a Visiting Assistant Professor at the University of Minnesota - Twin Cities. Her research has been supported by the National Science Foundation, the Wenner-Gren Foundation, Fulbright-Hays IIE Fellowship International Study, the Philanthropic Educational Organization, and the American Association for University Women. Rebecca has a passion for teaching both in the classroom and in the field. Rebecca leads the PIARA Archaeological Field School as a visiting professor at the Universidad Nacional de Ancash - Santiago Antúnez de Mayolo in Huaraz, Peru. 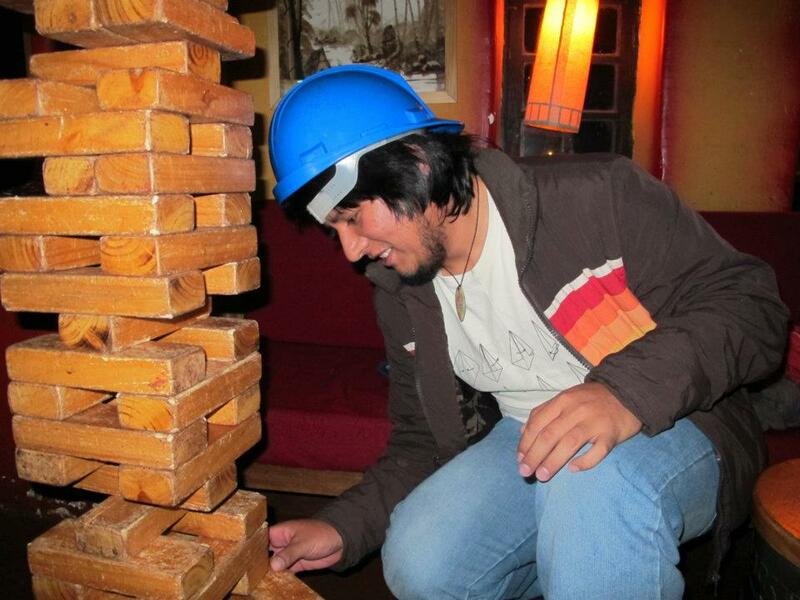 Erick is a licensed professional archaeologist from San Marcos University in Lima. He has nine years of experience in the field of archeology, participating in several research projects in both coastal and highland Peru. He has also collaborated on various projects and activities in Peru focused on public outreach and other collaborations with Andean communities. Erick has been working with the PIARA team at Hualcayán since 2011. Erick will also lead the PIARA Archaeological Field School in 2018 through a convenio with the Universidad Nacional de Ancash - Santiago Antúnez de Mayolo in Huaraz, Peru. Chris is a bioarchaeologist and forensic anthropologist with many years of field and laboratory experience. She is currently an Assistant Professor in the department of Anthropology and Sociology at the Metropolitan State University of Denver. She is also Director of MSU Denver's Human Identification Laboratory. Chris received her Ph.D. from the University of Tennessee in 2013. Her doctoral research concentrated on the bioarchaeology of populations in the Peruvian Andes, including Hualcayán. The study utilized cranial non-metric traits to explore changes in gene flow between regional groups consequent to the collapse of the Wari Empire. Chris's research interests include population genetics, paleopathology, paleodemography, and skeletal biology. Her research in forensic anthropology focuses on ancestry estimation and perceptions of fragmentary remains as representative of the whole person from the perspective of scientists, law enforcement and military officials, and family members over the past 150 years. 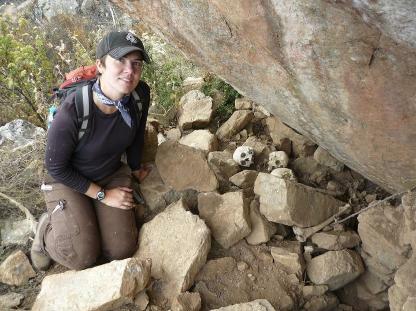 Emily is a bioarchaeologist with eleven years of field experience in Peru. She is currently a PhD candidate at Arizona State University and received her MA in Anthropology in 2013. Her research interests include understanding fluctuations in violence in the ancient Andes and documenting how burial practices changed through time. She specializes in skeletal trauma analysis and has conducted research on human remains from tombs at Hualcayán and across the Callejón de Huaylas. Most recently, she co-directed excavations in several mortuary sectors at an archaeological site 100 km south of Hualcayán. Her collaboration with PIARA began in 2011, and she is excited to continue to work with field school students in 2018. 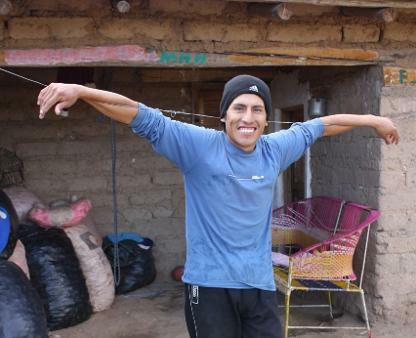 Julio has worked with PIARA every year since 2009, and is an essential member of the project. He manages many project responsibilities, from food, to transportation, construction, and community collaborations. Though not originally trained as an archaeologist, he has also become an important member of our excavation and laboratory crew! He looks forward to meeting this year's students and team! Kelsey is a biological anthropologist whose research combines biology, genetics, and bioarchaeology to study past human - environment interactions. She is currently pursuing a PhD at Wayne State University in Detroit, Michigan and received her MSc in Forensic Anthropology from the University of Edinburgh. Kelsey's present dissertation research uses the co-evolution of domesticated potatoes and their primary pest as a proxy for understanding population mobility in the Peruvian Andes. In the past, she has worked at several bioarchaeological excavation sites in Spain, England, and Greece. She is very excited to be joining the team in beautiful Hualcayán, Peru for 2018! Aleksa is an anthropological archaeologist with ten years of field experience. She focuses on zooarchaeological analysis, with experience in taphonomic and isotopic studies. 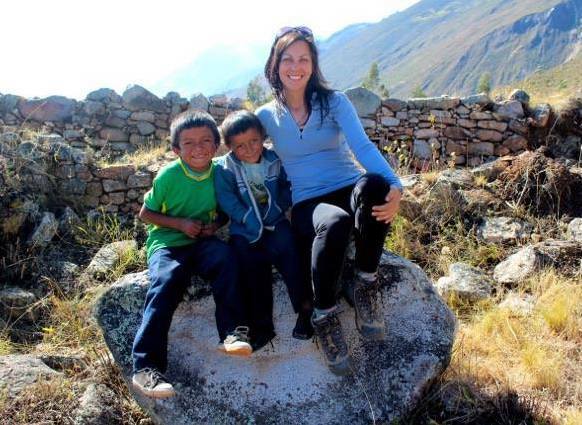 While her focus has been in the Peruvian Andes since 2010, she also has field and laboratory experience in Canada, Scotland, Serbia, Spain, Jordan, Georgia, Hungary and Greece. Aleksa completed her BA (Hons) at the University of Toronto and MSc. at the University of Edinburgh. Currently a PhD Candidate at the University of Toronto, Aleksa focuses on human-animal interactions in the Middle Horizon period of northern Peru, mainly among the Moche. She is interested in the ways that animal groups can provide affordances to past populations while also placing considerable constraints on their daily and annual practices. Aleksa applies multiple approaches to her research, drawing from iconography, stable isotope analyses and faunal remains to better understand human and animal diet and the life histories of animal groups. In addition, she is interested in the ways that animals can be important mediums for the exchange of ideas, cultural capital and ritual practice. Aleksa will be hosting several workshops on faunal analysis for the PIARA team. Emily completed her BA at the University of New Mexico in 2016 and started a PhD program at the University of Minnesota in the fall of that same year. As an undergraduate, she worked in cultural resource management while living in the Southwest, participating in large scale surveys, smaller rescue excavations, and conservation work with the National Parks Service. 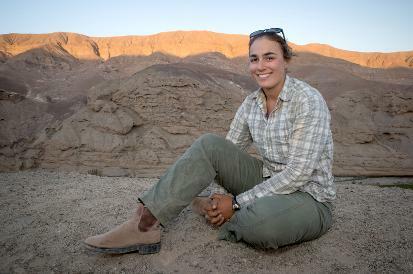 Her other fieldwork experience consists of Paleolithic excavations in Western and Southeastern Europe, and Bronze Age excavations in Eastern Europe. She is interested in studying patterns of violence, particularly how violent interaction may emerge during periods of large scale migration and cultural contact. Her dissertation research will examine these questions in Prehistoric groups in North America using bioarchaeological methods for evaluating trauma, coupled with strontium isotope studies to evaluate the movements of individuals. She is excited to be joining the PIARA team this summer to gain a comparative perspective on bioarchaeological methods in the Americas. 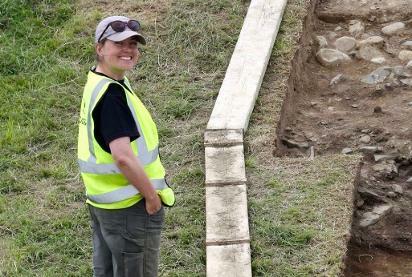 Erin Crowley has 10 years of experience working on public and academic archaeological projects in New Jersey, Maine, Maryland, Minnesota, and Ireland. 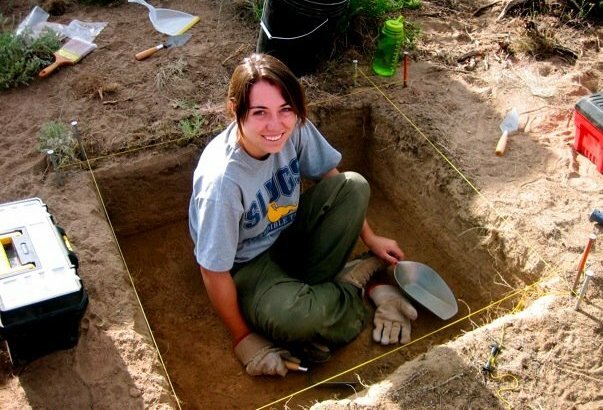 She has experience in the field, the lab, and the classroom, teaching excavation techniques, site planning, and working with faunal remains. After completing her BA in history at Bates College, she worked with AmeriCorps for 2 years, living and working on an unbridged island off the coast of Maine. She is currently pursuing her PhD in anthropological archaeology at the University of Minnesota, examining the role of animal husbandry practices in social and political organization. Additionally, she is interested in the role of foodways and feasting in identity construction and social negotiation. She is looking forward to bridging these interests with PIARA's research goals in 2018! 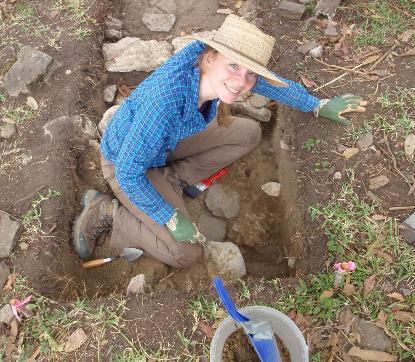 Brooke is a field archaeologist who specializes in the study of religion, migration and colonialism. She is currently pursuing her Ph.D. at the University of Minnesota in archaeology. Brooke has spent the last decade excavating in California, England, and Scotland at sites ranging from the Neolithic to the late 20th century. She has experience teaching excavation techniques, magnetometry, and material analysis in the field, lab, and classroom. She has excavated a range of materials from Native American stone tools to medieval monastic cemeteries to Cornish ritual pits from the 1900’s. Brooke is most interested in examining the variety of ways that religious practices adapt in response to cultural change. She is never happier than when she’s covered in dirt and finding something new!